The new bar is a solid draw for the bar-hopping crowd, especially groups. The Crafty Squirrel’s roll-up shutters open to the sidewalk on the Central Avenue party block in downtown St. Petersburg. The new bar is a solid draw for the bar-hopping crowd, especially groups. Want a Shmoney Dance or Real Turbulent Juice? They are on the Crafty Squirrel’s Long Island Iced Tea menu. For $10 or $15, you get a 32-ounce pitcher of booze sporting such pop-culture names. The Crafty Squirrel offers teapot cocktails a.k.a. four servings of shots in each teapot. Somehow, it is more fun than just ordering a round. The undisputed party block of downtown St. Petersburg is the one between Second and Third Streets on both Central Avenue and First Avenue North. The concentration of bars, restaurants and lounges on this single city block is unmatched anywhere else in town, but it’s also in a perpetual state of change. Stretch your visits a few months apart and there will undoubtedly be something new for you to try. The latest new kid on the block is the Crafty Squirrel, the most recent entry into the portfolio of Josh Cameron, owner of neighboring businesses Lucky Dill and Oyster Bar. The Crafty Squirrel occupies the space that most recently was Fortunato’s Italian Market. The Squirrel has transformed the long-standing pizza place into a color-soaked and clubby sports bar of sorts, complete with a catchy gimmick: teapot cocktails. Multiple-serving cocktails poured from teapots is a bit of a trend in Cameron’s native Australia, and it’s what much of the bar’s buzz was centered on prior to its opening last month. There’s nothing to it: just four servings of shots that come out in a little teapot, along with some empty glasses. Why, then, is it so much more fun than just ordering a round? There’s another interesting quirk. Crafty Squirrel’s commendable beer selection features more than 50 brews by the can or bottle (draft lines are still in the process of installation), and with the exception of some of the fancier brews, everything’s available to order in multiples at a discount. For example, you could order a can of Sierra Nevada’s Otra Vez gose for $6, or you could go ahead and get five of them for $23. Ignoring the fact that it’s cheaper than buying even four of those beers individually, there’s real novelty to ordering a round for the table and having a group of friends all enjoy something together. The whole teapot thing is suddenly coming into focus. Then, there’s the drink that this block probably doesn’t need but is cool nonetheless: a Long Island Iced Tea menu. For $10 or $15, you get a 32-ounce pitcher of booze that sports pop-culture names like Real Turbulent Juice and Shmoney Dance. There’s even one named after legendary former wrestler Ric Flair — obligatory “wooooooo” — and it can most likely be lit on fire. The pitchers are probably meant to be shareable like the beer buckets and teapots. As far as the space, Crafty Squirrel is fun and upbeat, if fairly familiar: exposed brick, cement floors and faux-industrial light fixtures. Ubiquity aside, these work as a nice counterpoint to the comfy red-vinyl booths and chairs that occupy the spacious lounge area. The adjacent bar is framed by a row of TVs, injecting a little sports vibe into the mix. Roll-up shutters open to the Central Avenue sidewalk, adding an indoor-outdoor component. The lighting changes color frequently, soaking the interior in rich blues, reds and purples, lending a nightclub feel to go with the energetic house music playing slightly too loud from speakers in the back. Next to those is a logo-branded photo wall, which I expect to see a lot of on Instagram. There are a lot of things to like about the Crafty Squirrel, not the least of which being the ability to purchase Jester King El Cedro on a block that’s more vodka shots than craft beer. 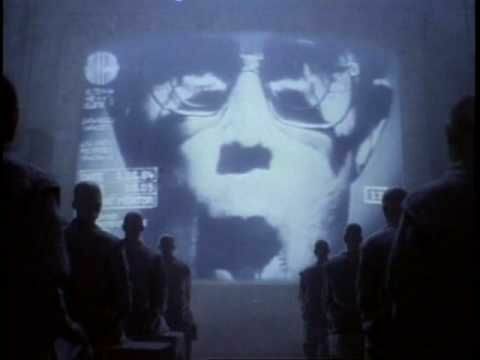 But the best feature is the subtlety of what otherwise seems like a flimsy gimmick. Serving shared cocktails in a community teapot makes the whole ritual of shots with friends more fun than such a small tweak would suggest, in the same way that ordering a round of beers for the table (at a generous discount) instead of everyone heading up to the bar separately does. 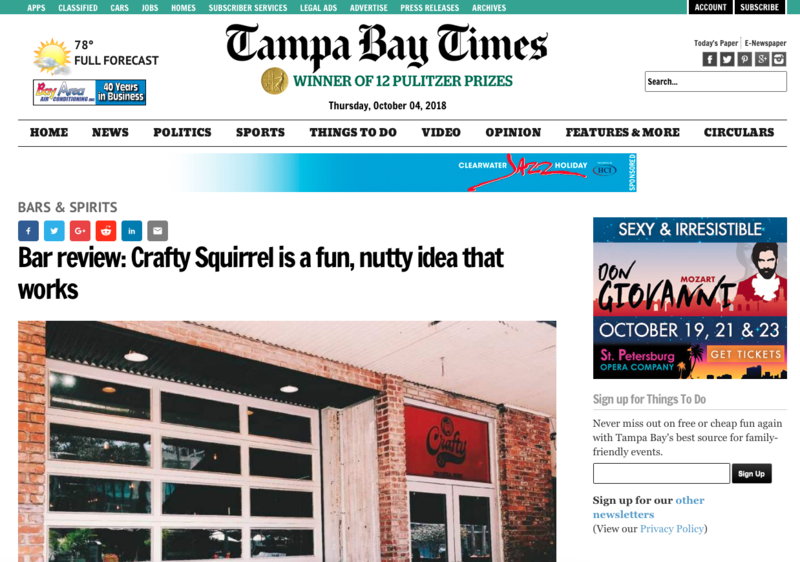 As for downtown St. Pete’s party block, I think the Crafty Squirrel will fit right in. Lots of space, lots of drinks, a full kitchen and a fun, upbeat vibe that’s a solid draw for the bar-hopping crowd. It’s going to be wild during its inaugural First Friday this weekend — watch out for those Long Island Ice Teas, folks. — Contact Justin Grant at jg@saintbeat.com. Follow @WordsWithJG. The vibe: A colorfully lit, clubby sports-style bar specializing in pizza and shareable drinks. Food: Appetizers, $6.50-$9; salads, wings and pizza, $7-$17; desserts, $8-$9. Booze: Beer, wine and liquor. Beer, $3.50-$10 and $15-$50 for large-format bottles; wine, $5-$14 by the glass and $20-$90 by the bottle; liquor, $5-$20. Specialty: Have a group? Try the teapots with four shots of cocktail. Some would make fantastic specialty cocktails, such as the Hide the Nuts: tequila, triple sec, passion fruit purée, red chili flakes and lime. Hours: 11 a.m. to midnight, Sunday-Wednesday; 11 a.m. to 2 a.m. Thursday; 11 a.m. to 3 a.m. Friday-Saturday.